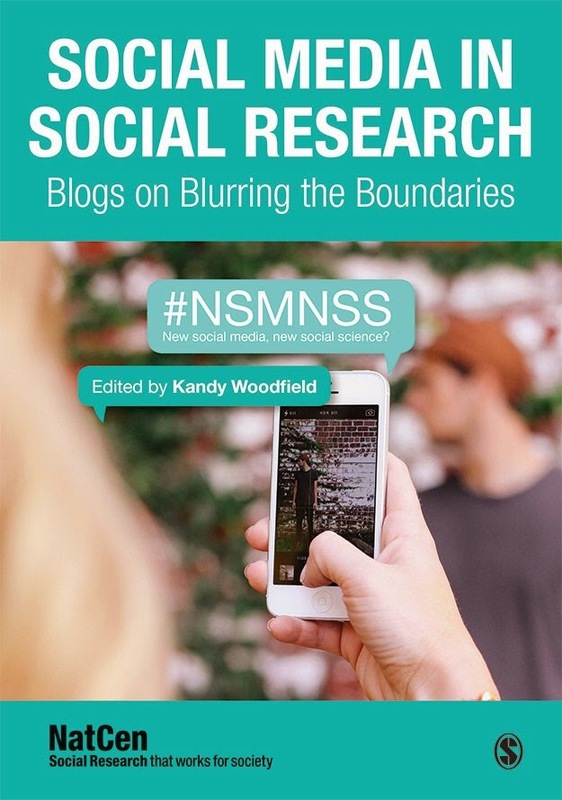 We have heard researchers’ voices throughout NSMNSS events, Tweetchats and blog posts. Students, alt-academic independent researchers, respected scholars and research institute staff have discussed wide-ranging methodological and ethical issues associated with media-related research. Publication is an important next step for any researcher, one we have not yet explored in the NSMNSS project. To introduce an editor’s perspective into the mix I asked New Media & Society editor Dr. Steve Jones to share some insights. New media was indeed new in 1999 when Dr. Jones and colleagues Nicholas Jankowski, Rohan Samarajiva and Roger Silverstone launched New Media & Society. With appreciation for the potential of emerging ways and means of communication they sought to create an international, interdisciplinary journal that could “contribute to the social, cultural and political understanding of new media and information technologies” (Jankowski, Jones, Samarajiva, & Silverstone, 1999, p. 5). Entering its fifteenth year and Volume 16, this Sage Publications journal is going strong. I asked him why he thought researchers use traditional methods to study new, technology-infused topics? He speculated that the importance of journal impact factors for use in evaluating tenure and promotion decisions in an increasingly competitive job market may influence researchers to use known approaches. It can often take more time to do a study using multiple methods, and given the pressures under which young scholars operate it can be difficult to decide to do anything that would take more time. He suggested that in some ways it is unrealistic to expect younger scholars—the ones in the most precarious positions—to move things forward, in the context of disciplinary and institutional conservatism. Clearly innovation is hard and takes time, but when taking a long view Dr. Jones was heartened by increasing openness towards new methods and theories and greater willingness to use theories from other fields or disciplines. 1. Did the writer follow the guidelines, word limits etc.? The journal is published in print as well as online, so word limits must be upheld to allow for 8 articles in each issue. 2. To what degree does the research use or advance theory? NM & S still receives submissions that simply describe the phenomenon, without scholarly attention to theory and methods. 3. Does the article contribute new knowledge to the field? Of the hundreds of good studies that could pass peer review many make no new points and basically say the same thing. Is the work original, with original ideas, or just a snapshot? In 8 issues with 64 articles per year, space is limited so he looks for articles that contribute in a meaningful way. Given the competitiveness of the selection process, I asked what advice would benefit potential writers. Dr. Jones emphasized that they should “keep going.” Follow the guidelines and “put their best foot forward.” It is unfortunate to see a potentially good submission that with more work could have avoided rejection. “Get the work fully baked, even if that means taking longer. Get informal reviews from peers before submitting.” Get involved by participating, including offering to review. My take-aways from this conversation with Dr. Jones include a respect for New Media & Society’s mix of new thinking and traditional expectations for solid, high-quality research. Use the comment area to share your thoughts! Good news. Edition is an important step for every researcher on social media. Go ahead. Best of Luck. Thanks a lot for sharing. The event study methodology captures stock market reactions to discrete events. This methodology has become a ubiquitious instrument for investigating the financial impact of both market events and corporate decisions. www.eventstudytools.com provides research apps and services that simplify conducting event studies. Your business’s messages must be powerful, strategic & perform better then your competition for it to convert and sell if you expect to grow your business. Doesn’t matter if you’re a start-up entrepreneur, small business, seasoned business owner, or a salesperson trying to build a successful client base. So, what’s the solution?! Let's Get Started. Hey, Its Bruce Boss here and I’m a digital marketing specialist, business consultant, & online social media expert. It's not that easy that you put the site up and got it ranked. It requires a lot of practice, techniques and experiments to get your site ranked. We're getting websites in New Jersey ranked from the last couple of years and with our expertise we assure you that you'll be on top of all the searches whether local keyword searches or global you'll get on top of Google for every searched term. Wowbix is a top Digital marketing agency in New Jersey, the only marketing agency that you need to cope with if you want high rankings for your small-mid sized business or brand. Get on our site and let's hang out together.